Cinematic storytelling is my passion. My goal as a cinematographer and producer is to discover and tell compelling visual stories that inspire, inform and entertain. Using the latest technology and cinematic film techniques, I will work with you to craft a unique look for your project. I am a cinematographer and producer specializing in science and natural history storytelling. Filming for National Geographic since 2010, I have covered stories in 25 countries across the globe, including subjects such as steppe wolves in Mongolia, paleontology expeditions in the Arctic, and cutting-edge health research in Madagascar. Originally trained as a biologist, I am passionate about science and the natural world and am an avid scuba diver and outdoorsman. As a cinematographer I have broad experience across diverse areas of production, from commercial and political work to feature documentaries. Always willing to push the limits to tell the most compelling and cinematic story, I have found himself face-to-face with tigers in India, on an island covered with snakes in northern China, wading through croc-inhabited waters in Botswana, and, of course, diving with sharks. I work as both a cinematographer and field producer, with experience in story development, pitching, pre-production, logistics and editing. My work has been featured by National Geographic, Smithsonian, Discovery, and Animal Planet among others. 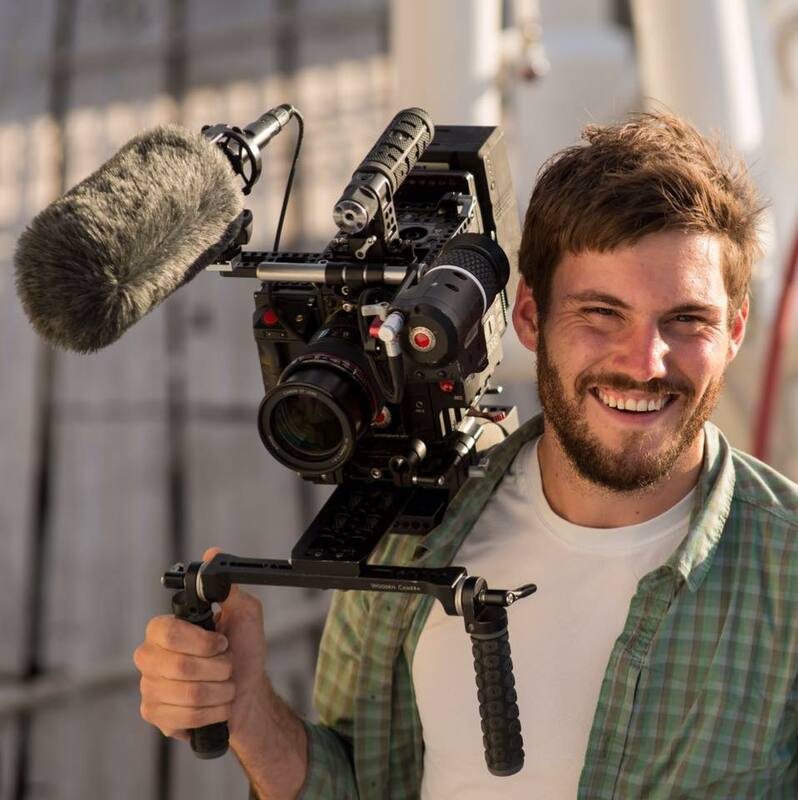 I have extensive global field experience, including filming wildlife and documentary stories in over 10 countries, as well as experience in wildlife observation, wrangling, trekking. I am equipped to work in extreme natural and social environments and my travels include work in Morocco, India, Mongolia, Uganda, Kenya, South Africa, Svalbard, Romania, Norway, Germany, and across the US. After years of wildlife observation and work with scientists and park managers, I have developed the skills to work with locals, navigate difficult terrain and approach wildlife in an effective and respectful manner. While filming, my focus is on capturing animal behavior while ensuring the protection of the animals and their habitats. Before becoming a filmmaker, I also completed three years of ornithology field research (on the evolutionary ecology of Common Yellowthroat warblers) during my undergraduate biology studies at Skidmore College in Upstate New York. I am knowledgeable in all modern 4K camera systems including RED Scarlet-W, Arri Amira, RED Epic, Sony FS7/FS700, Sony A7s with Atomos Shogun, among others, for both topside and underwater cinematography. I also have extensive experience with ENG systems like the Sony F800 and Panasonic P2 Varicams for HD production, as well as high-end cinema cameras like the Arri Alexa and specialty cameras like HDSLR's, Phantom Miro, Iconix, and GoPros. I have experience setting up and operating remotely controlled camera units. I am also experienced incorporating high-quality external 4K/HD recording devices like the Odyssey 7Q, Atomos Shogun, Pix-240, KiPro, Gemini 444, and Nanoflash, including setup and data management in a variety of formats. In addition to handheld and tripod work, I am a Steadicam operator and often enhance production value through jib and slider operation.